Basics - S.I. system of units, scalars and vectors. Rectilinear Motion - velocity and acceleration, graphs of motion, equations of motion. Forces - resultant forces, weight and mass, resolving forces, centres of gravity, upthrust and flotation, moments, Newton’s laws. Dynamics - projectiles, momentum, circular motion. Energy - forms of energy, energy transfers, conservation of energy, KE and PE and associated formulae, power. Gases - The gas laws, ideal gas, absolute temperature scale, meaning of temperature. Thermal energy - transfer (conduction, convection and radiation), heat capacity, latent heat, thermodynamics. Electric circuits - current and potential difference, combinations of resistances, resistivity, EMF, internal resistance, capacitors and capacitor equations. Electric fields - Coulomb’s law, comparison with gravitational fields. Magnetic fields - electromagnetism (uses and formula), mass spectrometry. Optics - refractive index, lenses and lens formulae, focal lengths, real and virtual images, the eye (application of the above topic to the eye and defects of vision). Simple Harmonic Motion - formulation, resonance, damped oscillations. Sound - intensity, logarithm dB scale. Nuclear reactions - mass-energy equivalence, fission and fusion. 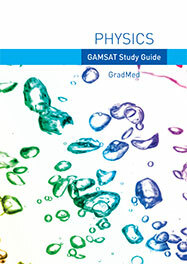 Medical physics - x-rays, ultrasound, optics in medicine, radio-isotopes, Magnetic Resonance Imaging. Mathematical patterns (direct and inverse proportionality, exponential changes, log scales etc). Conversions of simple (eg: µA to mA) and more complex units (eg: g cm-3 to kg m-3). It is important to note that these cross-curricular techniques will also serve to reinforce your work in the other sciences.